Good news! You can now make deposits to your online casino account just by entering your mobile or landline phone number. Usually when something like this sounds too good to be true it generally is - but not in this case. 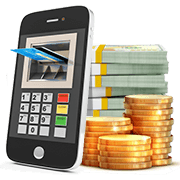 You can look forward to simple payments and fast processing times when you decide to use a pay by phone casino. Here we've shortlisted the best New Zealand casinos offering the payment option, topped by Jackpot City, the team&apos;s number 1 casino. There's no hidden message to decipher with this one. Pay by phone casinos are exactly what they sound like, you pay for your casino bets & wagers using your phone - specifically in this case, your phone number. Yep, it's your digits themselves that help you complete a transaction online. If you’re struggling to understand how this can work the answer's simple - when you pay using your mobile number, the amount you want to spend gets passed on to your phone bill. If you don't have mobile billing and simply top up your phone when needed, then the amount gets deducted from your balance instead. If you're using pay by phone to add funds to your online casino account then the process is just the same as if you're buying something online. Instead of entering your card details, or channelling the payment through PayPal or another ewallet provider, you're using your mobile phone bill or balance instead. Funding your casino account has never been easier, simply entre your mobile number and you're ready to start playing! Once you've selected pay by phone as your deposit option you'll be prompted to enter the amount in New Zealand dollars you want to deposit, and lastly your phone number. If you're a user that tops up on the go then you need to have the amount you want to deposit left on your phone balance or the payment won't go through. This is the one drawback for pay as you go users, the transaction total can never exceed the amount of credit left on your mobile. If you pay by a monthly bill then the deposit charge will be added to your next statement, as per the payment terms of your phone provider. It's kind of similar to receiving a monthly credit card bill you have to pay off, except you'll never be required to enter your card details. This makes it a much more secure payment method than using bank cards or e-wallets. Nothing will help you sleep sounder or give you more confidence parting ways with your real cash than knowing that it's safe to do so. Something that pay by phone casinos can guarantee! The fact that the charges are transferred to your phone bill, or taken off your phone balance, means you're not having to store or part ways with any sensitive data that a clever hacker or unscrupulous site could use to their advantage. If you've ever played for real money, or even just for fun, in a New Zealand casino you'll know how easy it is to sign-up and get stuck in to the action. Well, with pay by phone casinos online it's no different. Simply decide on a site to play at - you can view our recommendations right here to help you decide - and then you're one step closer to funding your online casino account. Of course, and we hope this is obvious, you do need a phone number in order to pay by phone. So make sure you know your mobile phone number as you'll need this in order to complete a transaction online. A receipt will also be sent to this same number following the purchase, or deposit, so you can be sure no payments will ever be made with your phone without your knowledge. Then, enjoy claiming your sign-up bonus incentive and have fun. Online gambling is supposed to make the casino experience more accessible and that's exactly what pay by phone casinos are helping to do. 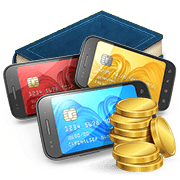 How does a pay by phone online casino work? It's very simple. When you pay via your phone, the amount you have to pay is charged either to your monthly phone bill or taken from the available phone credit on your mobile, if you pay by top-up. Is it a good option for New Zealand players? Yes, it's a really good option for New Zealanders. It's safer than paying online using a card as it's quick, easy, and can be processed anywhere you have Wi-Fi or you're connected to the internet via 3/4G. Both phones that are paid for by monthly bill, as well as pay as you go mobile phones are accepted for pay by phone payments in New Zealand currently. For mobiles that are topped up as you go, the charges are taken instantly and will be reflected in your available phone balance. Otherwise, the funds will be added as an additional charge to your phone bill and will show up on your monthly statement. The payment process for making a transaction or buying goods online by phone is quick and easy. You normally just have to confirm the purchase amount and your mobile number for the payment by phone to take place. Most mobile service providers won't charge for this service but there's the possibility of a nominal handling fee from the online casino itself so it's best to check the T&C's before you use this payment method. Just like with any other deposit method your winnings will be credited to your online casino account. However, if you wish to withdraw any money you'll have to use a different banking option as pay by phone doesn't support payouts. Absolutely. Security is one of the main benefits, and attractions, of funding your casino online account with this banking method in New Zealand.